Today, data scientists have a much easier time deploying a machine learning (ML) model through the availability of data and open-source ML frameworks. While it’s a simple matter to write machine learning code to train a basic, non-distributed model with sample at-rest data, the process becomes a lot more complex when scaling up to a production-grade system. Though there is a diversity of solutions to “operationalize” the machine learning process, one can hardly expect to just lay their hands on writing code, while the chosen instruments do the boring routine for them. Data scientists still have to worry about such things as data cleansing, feature extraction, serving infrastructure, and the like. Surely, there are tools available to address each of these steps, but then you end up with a technology zoo to maintain. Is there a universal pill? 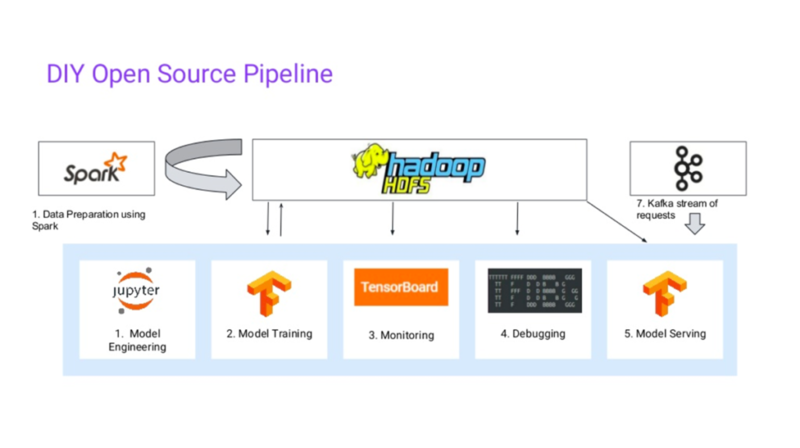 At a recent TensorFlow meetup in London, Emil Siemes of Mesosphere outlined the challenges behind each step of the deep/machine learning process, as well as overviewed tools that help to address the issues. Emil also mentioned the problems associated with each step in the process. He also listed a few popular solutions that can be used to resolve them. The issues with enabling distributed data storage and streaming are typically related to handling large amounts of data. The solutions that can come helpful are HDFS, Apache Kafka, and Apache Cassandra. 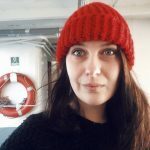 In model engineering, data is typically not ready to be used by a machine learning model immediately, so one needs to properly clean it and format. The instruments to consider are Apache Spark and Flink. 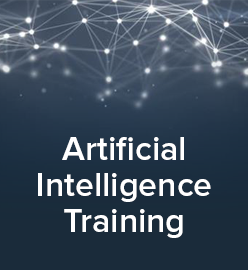 When it comes to training a model, a machine learning framework has to be installed on all machines, and then it becomes a matter of resource isolation and allocation. In this case, such solutions as TensorFlow, PyTorch, Apache Spark, and Apache MXNet come to rescue. Model management becomes an issue, once trained ML models and data sets begin to accumulate. One may rely on HDFS, Google File System, MongoDB, and ArangoDB. In model serving, deployments need to have minimal downtime. Seldon Core and TensorFlow Serving may be utilized. Without an platform, data scientists looking to scale up from training basic ML models will have to deal with each of these challenges. There have been efforts to simplify operations for data scientists and let them focus on pure deep/machine learning things. For instance, Kubeflow, which was designed to automate the deployment of TensorFlow-based models to Kubernetes. 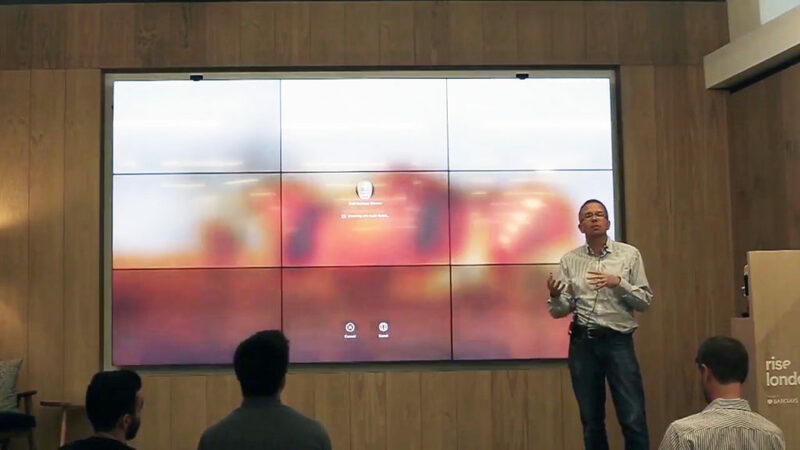 Are there any similar solutions that integrate the collection of technologies into a unified interface? Emil gave a brief demo of the Mesosphere DC/OS platform that integrates a lot of useful instruments to deploy and manage data-rich apps that use machine learning. According to its official documentation, the solution is positioned as a distributed system, a cluster manager, a container platform, and an operating system. The platform provides support for most of the services a data scientist would need to resolve the operational issues. In the service catalog, one may find all the available tools, as well as guides how to start them within Mesosphere DC/OS. 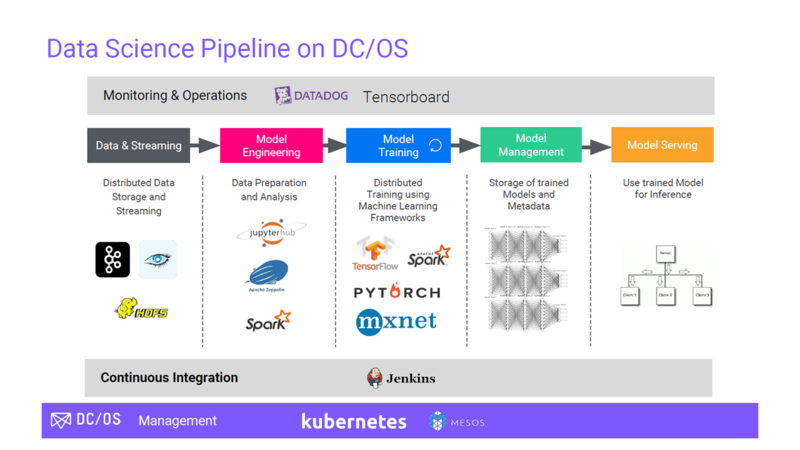 In terms of machine learning, the Mesosphere DC/OS platform provides support for distributed TensorFlow on the infrastructure of choice. You can find the instructions on how to run TensorFlow on Mesosphere DC/OS in the documentation maintained by the community or in this GitHub repo. 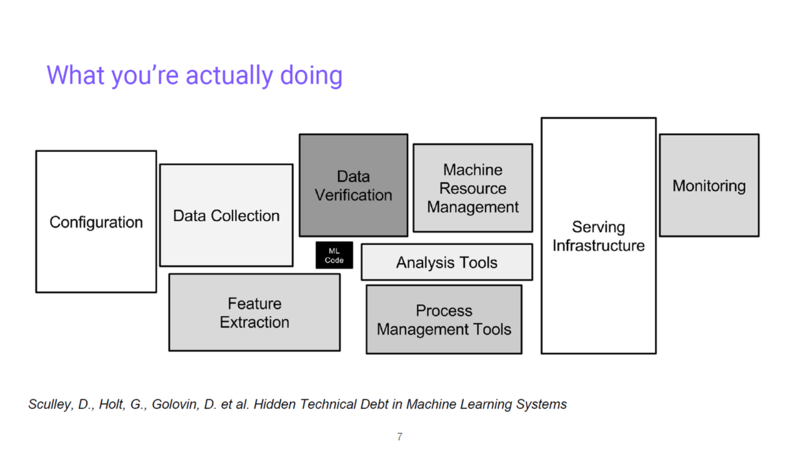 As the fields of machine machine learning proliferate, and the models grow in complexity, data scientists surely need a solution that maximizes their efficiency and allows for doing first things first. Hopefully, the operational tools are also evolving to fit the needs of artificial intelligence. Emil Siemes is a Solutions Engineer at Mesosphere. 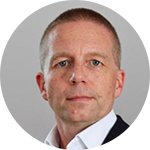 He is a long-term Java veteran interested in building, running, and managing the next generation of data-driven web and mobile applications. After several years as Java Architect with Sun Microsystems, Aplix, Wily, SpringSource (VMware), and Hortonworks, Emil joined Mesosphere, where he helps customers to modernize their applications with containers, big data, as well as machine learning and artificial intelligence technologies. This post was written by Sophie Turol and Carlo Gutierrez.